The University of Southampton is hosting a conference next month to debate whether the State of Israel has a legal right to exist. A Conservative Party MP and former Treasury minister has called on the vice-chancellor to withdraw sponsorship. The conference will focus on issues surrounding the Israel's legitimacy in international law and marks “a ground-breaking historical event on the road towards justice and enduring peace in historic [sic] Palestine,” according to organizers. Titled ‘International Law and the State of Israel: Legitimacy, Responsibility and Exceptionalism’, the conference “aims to explore the relatedness of the suffering and injustice in Palestine to the foundation and protection of a state of such nature and asks what role International Law should play in the situation,” organizers said. Conservative MP Mark Hoban wrote to the university’s vice-chancellor, Don Nutbeam, calling on the university to reconsider sponsoring the conference, which is scheduled for April 17-19. Scholars of law, politics, philosophy, theology, anthropology, history and cultural studies will attend the conference. In Tel Aviv on May 14, 1948, David Ben-Gurion declared Israel’s independence. Palestinians remain to this day de facto stateless. Anti-Semitism, meanwhile, has reportedly grown in the UK. In January, a survey revealed nearly half of Britons hold anti-Semitic views. 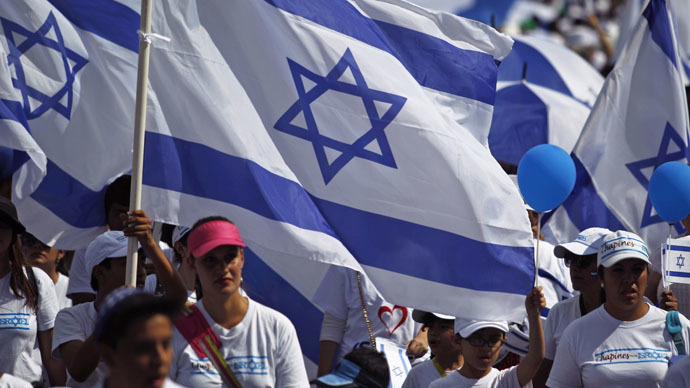 Analysts believe the rise is linked to opposition to Israel’s assault on Gaza last summer. A poll of 2,230 British Jews found 56 percent felt anti-Semitism now echoes the 1930s, 45 percent felt their family was threatened by Islamist extremism and 63 percent thought British authorities let too much anti-Semitism go unpunished.